Today we opened our home to over 100 people who had purchased tickets for a B&B House Tour to benefit Project S.H.A.R.E. - our local food bank. 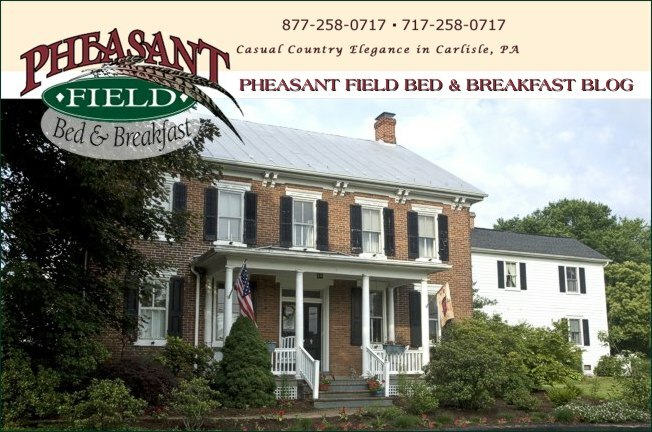 Pheasant Field B&B, and seven other members of the Cumberland Valley B&B Association, were all decorated for the holiday season. Some of our B&Bs offered refreshments; some provided music. Pheasant Field B&B offered a carriage ride through our neighborhood. The temperatures were crisp but the sun shone brightly on our day!